Eagle Rock — The burger joint known as The Bucket shut down in 2013 after serving Oxy College students and other fans for decades. But five years later, The Bucket is back in business in the same spot under new owners. The Eagle Rock Boulevard burger stand, which is said to have first opened in 1935, reopened late last month. 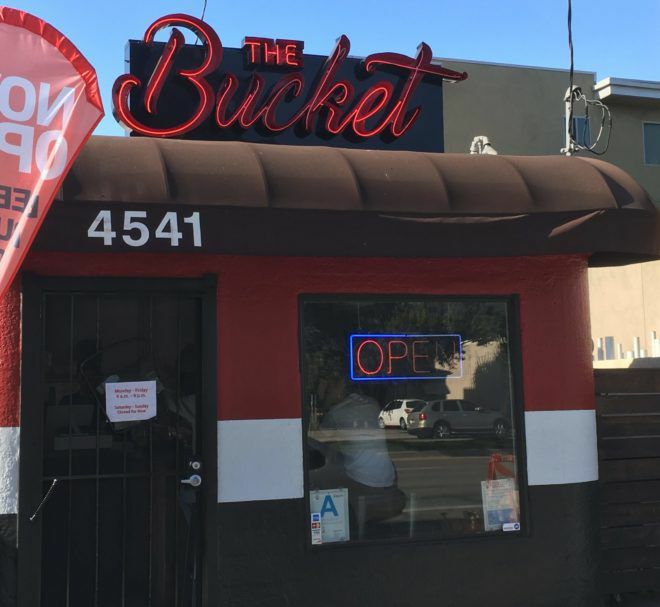 The Bucket is now part of the same ownership group that runs another long-time burger stand — The Great White Hut, which has operated in neighboring Glendale since 1947. “The feedback from the locals and old customers has been tremendously positive,” said Alex Ghazarian, manager of The Bucket. The Bucket, 4541 Eagle Rock Blvd, is open Monday thru Friday from 9 a.m. to 9 p.m. and closed on the weekends for now.